Hills, hills ands hills again. Between three small towns, Conegliano, Valdobbiadene and Vittorio Veneto, and the native land of the painter Cima da Conegliano, of the bishop of Poitiers San Venanzio Fortunato, and Mozart's librettist Lorenzo da Ponte. 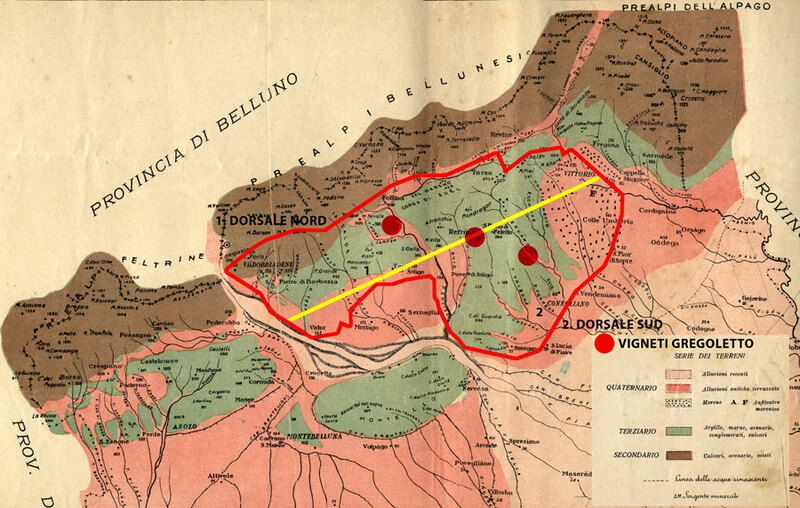 Hills, sometimes steep, such as in Valdobbiadene and Vittorio Veneto and with north facing ridges, and with soils consisting of Marnoso clay and a much cooler climate than that of the hills of Conegliano, or with south oriented ridges such as near Pieve di Soligo, with soils consisting of limestone and clay and where a much warmer climate prevails. The vineyards of our estate are situated in the subzone of Premaor in the commune of Miane, in subzone of Refrontolo and in Rua di Feletto. 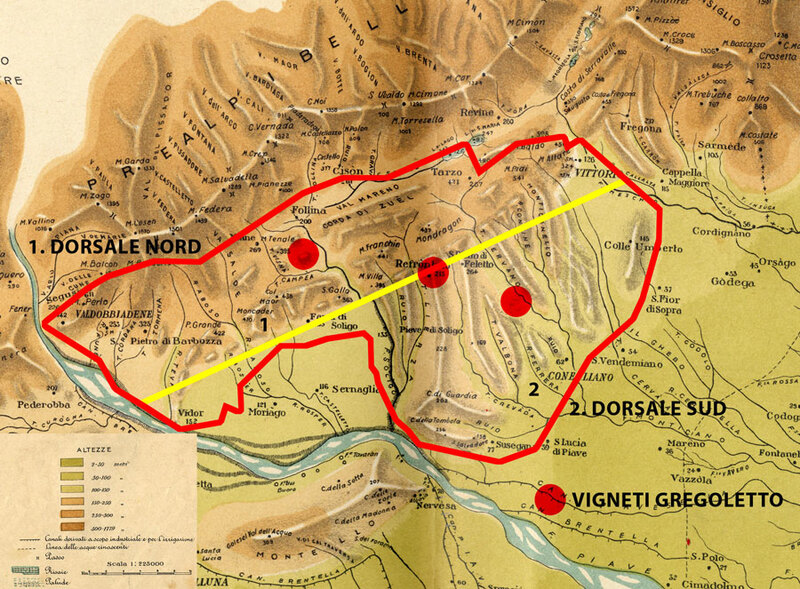 We also buy grapes from a handful of grape growers with whom we have had close relationship for decades with vineyards in the subzone of Rolle, the commune of Cison Valmarino, in the subzone of Collalbrigo and in the sub zone of Premaor di Miane. We exclusively use grapes grown on hillsides for all of our wines. Only in the rarest of cases do we use compost, which only consists of organic matter, and we do not apply herbicides in any of our plots. Practically all the work we do either in the vineyard or in the cellar is done by hand.